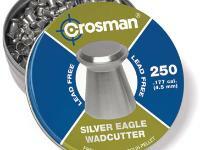 Things I liked: Cheap for lead-free pellets. Things I would have changed: It is too light for medium powered rifles. 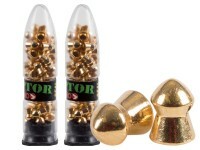 The pellets leave large amounts of residual powder on my fingers and in the barrel. 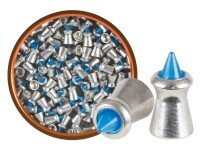 What others should know: You definitely need to clean the barrel of your gun frequently with these pellets. Things I would have changed: These are absolutely the least accurate pellets I've ever used, if your guns getting 1" groups at 25 yards, expect to see groups of around 1ft with these BEFORE fliers, which I've had go off 2-3 ft. Oh, and thats with the hand picked, well formed pellets. Some reviewers mentioned that each tin of these contains allot of dented pellets, well, I'd consider that an understatement. 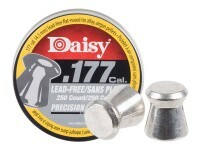 The tin I received contained MOSTLY dented pellets, this wasn't a problem in my springer, as it'll shoot them anyway, but if I was shooting these out of my daisy target rifle, I'd have to throw away about 2/3's of the tin. What others should know: If you want lead free pellets, I've had good results with golden rod pellets. Things I liked: They're lead free. Things I would have changed: *Lots* of deformed pellets. What others should know: Don't waste your money on these. 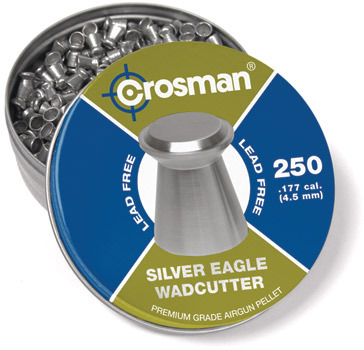 The idea of lead free pellets appeals to me but accuracy with the Silver Eagle's is unacceptable. Many, many deformed pellets in each tin. I recommend Gamo Match for accurate wadcutters.